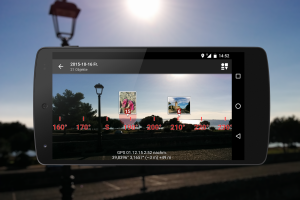 PhotoMap now comes with an impressive Augmented Reality (AR) view of your photos. It enables you to look through your phone to see where your photos were taken. The view includes a True North compass that helps you to orientate yourself. Both features can help you finding back to places you’ve visited before. Just tap on a group of photos to have a closer look at them. 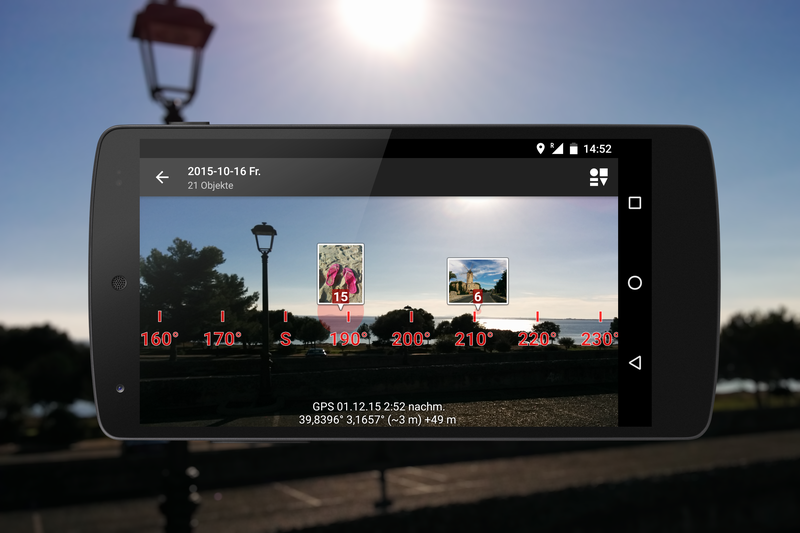 PhotoMap needs to detect your GPS position before it can position your photos on the screen.